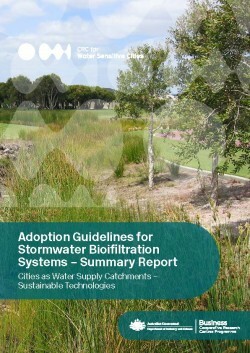 To complement the launch of the new CRC for Water Sensitive Cities Biofiltration Guidelines, Clearwater is offering two days of specialised training to present the latest research on biofiltration technology and its practical application. Day 2 training workshop is relevant to those who require a deeper understanding of the technical aspects of biofilter design application. Gain working knowledge on how to: a) select biofilter vegetation and media b) design for long-life and low maintenance and challenging sites and c) design attractive biofilters that are accepted by community and well integrated into the urban environment. Note: Day 1 is a prerequisite for attendance at Day 2. To attend this workshop a working knowledge of biofilter principle and design application will be beneficial. Registrations close Tuesday 28 July 2015 - places are limited!